Just in time for the 30th Anniversary of Discovery Channel’s popular Shark Week, a new map shows the interaction of 45 sharks with commercial fishing vessels. The interactive map, featuring over 150,000 miles of chartered shark territory and movement in the Northwest Atlantic Ocean, seeks to shed light on the perilous environment in which the sharks maneuver on a daily basis and the approximate 100 million sharks killed each year. Austin Gallagher, CEO and chief scientist of Beneath the Waves and a project leader on the maps, said, “Many species of large sharks remain highly vulnerable throughout our oceans, and the integration provided here highlights the magnitude of the threats they face.” Shark expert at the University of Miami Rosenstiel School of Marine and Atmospheric Science and project collaborator Neil Hammerschlag explained that sharks are “highly mobile,” as demonstrated in the charted data published on the Global Fishing Watch, a non-profit organization launched by Oceana in collaboration with Google and Skytruth. 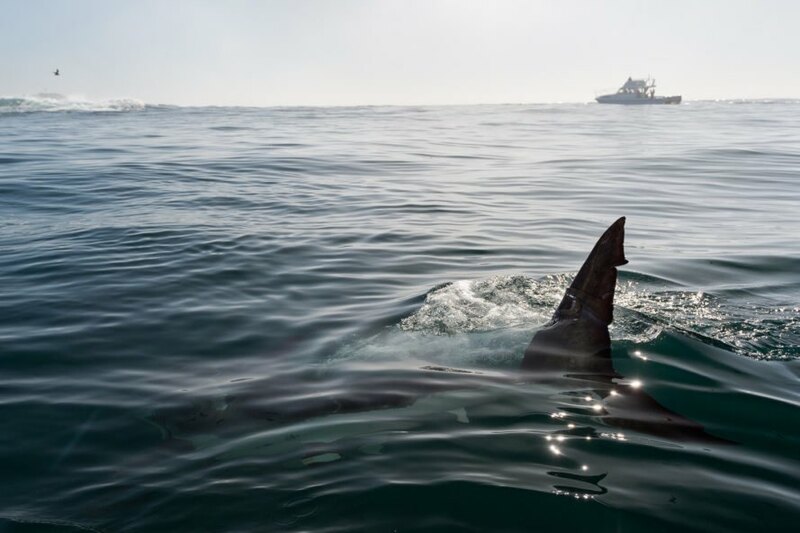 The sharks must navigate around fishing vessels, creating a wide variety of potentially dangerous interactions. Hammerschlag said, “Many fishing gear types can put these sharks at risk, as both target and bycatch — especially in the international waters of the high seas where no catch limits exist for many shark species.” Many sharks are caught by accident, but they are also subject to targeted hunting for their fins. A new interactive map shows overlapping routes of sharks and commercial fishing vessels. As sharks try to navigate the waters, they can come into potentially dangerous interactions with fishing vessels. In the future, Oceana and its partners hope to create a similar map that follows marine animals in real-time.